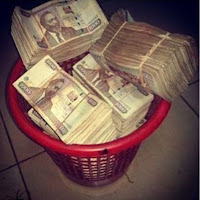 Monday August 27, 2018 - Detectives from Criminal Investigations Department (DCI) raided the house of Deputy President William Ruto’s Personal Assistant, Farouk Kibet, and discovered Sh 500 million in cash hidden in safes. According to a detective who requested anonymity to avoid reprisals from his seniors, Farouk has opted to ‘pillow banking’ because of stringent banking rules that have been put in place by Central Bank of Kenya. The money that was discovered on Thursday last week was in form of shillings and dollars and is said to be proceeds of corruption. To get a Government tender, Farouk has been using his office to demand a lot of kickbacks from companies and businessmen. Detectives led a sting operation in his house while he was away and found the money. However, following the intervention of Ruto, the matter was kept under wraps and the detectives are currently waiting for orders from State House on how to proceed with the matter.